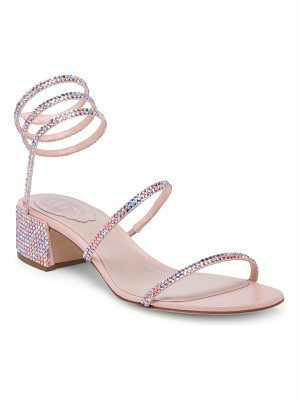 Striking, Swarovski crystal studded Sergio Rossi sandals in a delicate, strappy silhouette. Wraparound ankle strap with buckle closure. Covered stiletto heel and leather sole. Leather: Calfskin. Made in Italy. Measurements Heel: 4.25in / 110mm.